„the minor key club“she is now confirming her status as one of the Austria‘s finest folk voices. 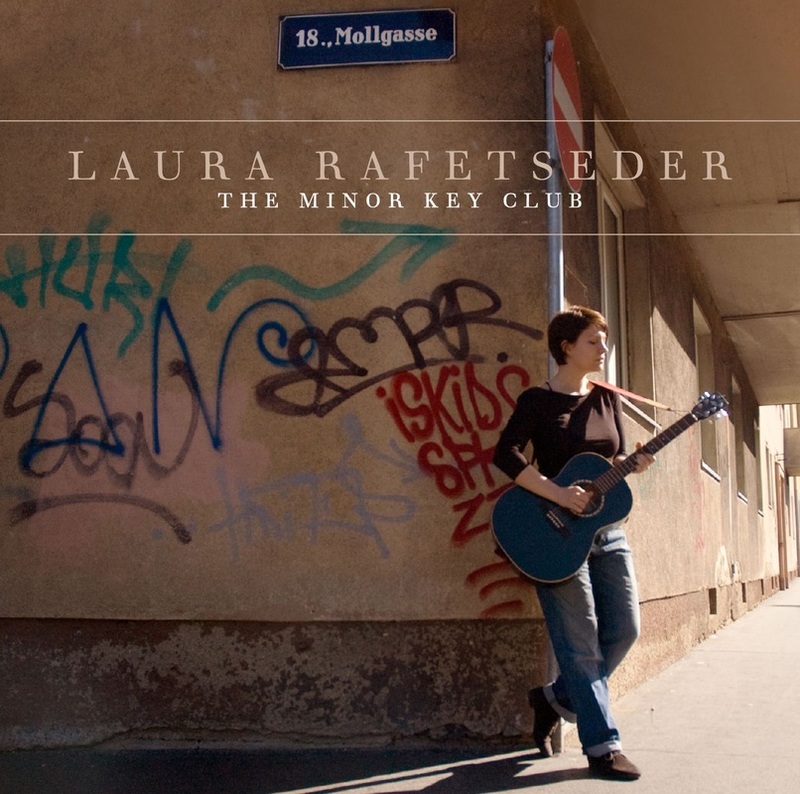 Her solo debut concentrates on Rafetseder’s strengths – the complex lyrics, the haunting melodies and harmonies, as well as the intimacy and warmth of her voice. The album remains largely acoustic and features voice and guitar, as well as guest appearances by label mate Katrin Navessi (backing vocals on ‚oh just to be‘ and ‚rain rain‘), folk fiddler Stefan Steiner, Gernot Feldner (piano) and Marc Bruckner (percussion and harmonica). on „the minor key club“ are not all minor key, but the theme of sadness and happiness as one pervades. Popmusic draws from expressing what society is suppressing. We all know feelings of being torn and failing in the face of reality – but we do not have words to express them. This is what music can do. It has a healing effect because it reminds us that we are not alone. present system has on offer. What would love look like in a society that goes beyond the limitations of capitalism? Free of economic and ideological boundaries that keep us chained? „a matter of these two“ is transferring this lack of awareness of what we are doing on to a personal level. We know how to trick ourselves, but we don’t know how we do it. We do things we know that are bad for us, because we do not know how to make it better. „ballad of zhanaozen“ is a song based on the true story of a massacre of striking oil workers in zhanaozen by the kazakh regime. It is a song in the tradition of folk ballads that used to work as a medium to report about events that were not covered by the traditional media. Laura: "My songs are not meant to be fashionable. They say what they mean and they mean what they say. They pick up issues that are uncomfortable because they adress the dark side of our existence as well as the light side. They demand listening. And that, i think, is a good thing." Stimme. Lediglich unterstützt von Gastmusikern Stefan Steiner, Gernot Feldner und Marc Bruckner sowie Labelkollegin Katrin Navessis Backing Vocals ist das Album akustisch gehalten und sparsam instrumentiert. Laura Rafetseder: „Ich hatte einige Songs, die nur solo funktionieren. Außerdem wollte ich schon lange ein akustisches Album machen – stripped down to raw basics. Das ist natürlich ein Risiko: Es ist viel schwieriger Songs rüberzubringen, wenn sie so nackt sind. Es zwingt einen, kompromissloser und selbstbewusster zu werden. Aber genau so sind die Songs entstanden, nur mit Stimme und Gitarre." ist heilsam, weil sie sagt: Du bist nicht allein!" "'down tonight' ist ein Protest-Liebeslied. Wir stoßen ständig an die Grenzen dieser Gesellschaft, mit dem, was wir vom Leben wollen. Ich frage mich: Wie würde Liebe in einer Gesellschaft aussehen, die den Kapitalismus überwunden hat? Frei von ökonomischen Zwängen, frei von Wertvorstellungen, die uns oft in Ketten halten?" sagt. Sie ist unbequem, weil sie sich mit den Schattenseiten unserer Existenz auseinandersetzt und erfordert, dass man sich hinsetzt und zuhört. Und das ist, finde ich, eine gute Sache."